Why sponsor the British Freediving Association? Freediving is a rapidly growing sport, gathering interest and press both nationally and internationally. The UK has world class freediving athletes, with national and world records being set across all disciplines. 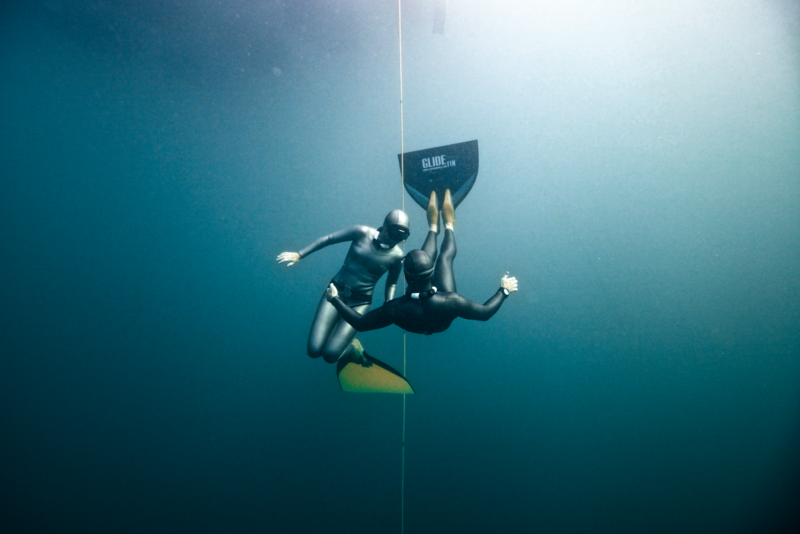 The British Freediving Association offers an opportunity for sponsors to profile themselves alongside the UKs top athletes and at national events in this exciting sport. Sponsorship may be in the form of equipment, facilities or financial support, or help with travel arrangements for the team to attend World Championship events, or to support our national competitions and events in the form of prizes. As a sponsor of the British Freediving Team you have the opportunity of becoming a partnership sponsor of Team GB at the AIDA World Championships. The organizers are planning a live video feed of events to be streamed over the internet giving real-time results. Exclusive rights as the Great Britain team sponsor. Logos displayed on all photographs with team holding large advertising banner, logos on freediving suits and monofins. Sponsorship shares â€“ partial rights shared with other sponsors showing small logos on equipment. Customized sponsorship packages by negotiation. Presence on the British Freediving Association website, the official governing body for Freediving in the UK. With links out to the AIDA (worldwide Governing body) website. Profile on athletes personal websites where applicable.